The day before the Bureau of Land Management (BLM) Tres Rios Field Office (TRFO) released its Resource Management Plan (RMP), the Alliance drafted a list of 10 things to watch for in the final document. Regarding that top 10 list of things we were watching for, TRFO kinda sorta addressed half of one. Here’s the blow by blow. Before you read on, a warning: it’s not pretty. 1. Negotiate in good faith with protesters to resolve issues of concern. SJCA’s TAKE: Protests to big and complex planning documents are common. It’s how plans get improved – with the input from affected communities. To show that they care about these local voices, the BLM and other federal agencies will often sit down and talk with protesters to learn more about their concerns, ostensibly in an effort to better understand if and how those concerns can be addressed. Over the year and a half since SJCA submitted 70 pages of protest points, the BLM took no initiative to engage in such discussions. Sure, they don’t have to, but if they cared about community input, they would. 2. Allow only Best Management Practices for oil and gas operations such as the highest standards for well casings and upgraded equipment to reduce NOx and VOC pollution. SJCA’s TAKE: When air and water quality are at stake, the best available management practices must be employed to safeguard these critical resources. 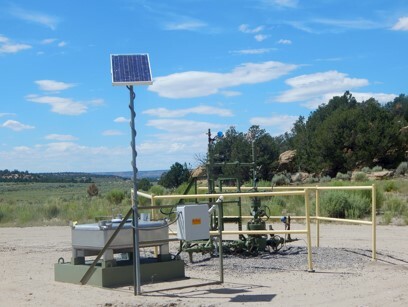 Rather than ensure such protections, the BLM plan fails to stipulate the many possible specific technologies that would result in a reduction of air pollutants such as requiring leak detection systems to reduce methane and volatile organic compound emissions. 3. Clearly state that oil and gas leasing stipulations mustbe followed. SJCA’s TAKE: Language in the current plan allows more than 90% of stipulations to be unilaterally modified or cancelled by BLM staff, offering no guarantee of community protection on a well-by-well basis. What an outright scam. The BLM is writing rules it can choose to ignore whenever and however it sees fit. 4. Provide adequate protective management protocols to stop the continued rapid decline of the officially “threatened” Gunnison sage grouse. SJCA’s TAKE: The BLM has taken a “wait and see” attitude for too long on measures to protect the sage grouse. The necessary protective management actions have been apparent for many years, but the BLM lacks the initiative to put them in place. This plan hews to that tired narrative, failing to adequately protect grouse habitat that is crucial to the species’ recovery. 5. Designate more than a dozen Areas of Critical Environmental Concern (ACECs) consisting of more than 100,000 acres of unique landscapes important as habitat for numerous imperiled species. SJCA’s TAKE: Yes, the BLM did commit to completing the review process for most of the publically nominated ACEC’s, but set no timeline for the completion of this process. In our experience, without a timeline the BLM fails to deliver the goods. We’ll believe it when we see it. 6. Complete a thorough and legally consistent inventory of lands with wilderness characteristics (LWCs). SJCA’s TAKE: In order to determine if lands should be characterized as having wilderness characteristics, TRFO would need to first complete an accurate road inventory. Next, it would need to follow it’s own protocols for determining what lands fit the LWC description. TRFO has failed to take either of these steps, meaning that the RMP lacks any accurate description of LWCs. 7. Designate Master Leasing Plans (MLP) in areas with conflicting resource management issues where pre-development planning can prevent or minimize detrimental effects on private, state and federal lands. SJCA’s TAKE: MLPs are used to proactively plan for oil and gas development, especially in areas where there is a high potential for conflict. 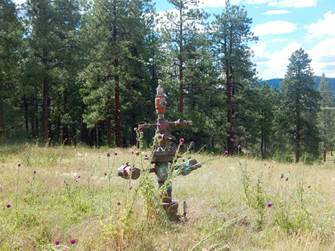 One such area, identified by SJCA, our partners, and La Plata County itself, is the west side of La Plata County. This area is typified by a rich agricultural heritage, shortage of water resources, and poorly understood groundwater hydrology – the exact qualities that might indicated for an MLP. Instead of using this plan to demonstrate how such planning can reduce conflicts between industry and landowners, the BLM opted against such a proactive response, preferring to allow a “natural progression” of oil and gas development. 8. Consider all of the relevant regional air quality degradation issues in totality when considered the permitting of additional oil and gas development facilities. SJCA’s TAKE: When it comes to air quality protections, BLM is playing a shell game. Here’s how it works: when concerns are raised that air quality will be affected by specific oil/gas drilling operations in a cumulative manner, the BLM responds that the RMP only covers “site specific” operations. 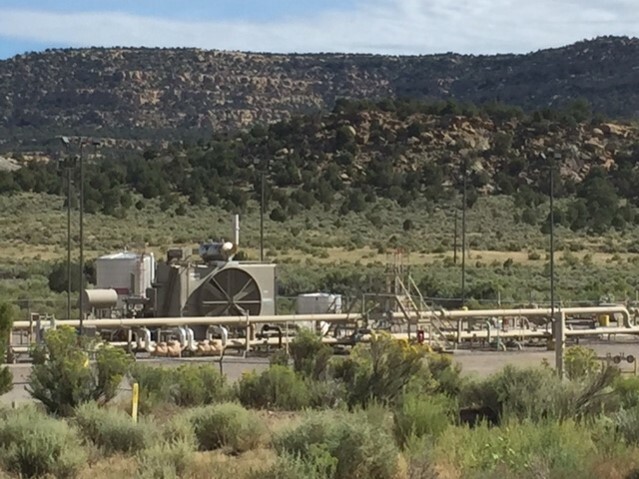 Yet when concerns are raised about the design standards of specific well sites, the BLM responds that the RMP will deal with the issue only in a broad-scale manner. The result: the BLM dodges its responsibilities to protect air quality and local residents suffer the consequences. 9. Scrutinize their permitting standards as part of an overall effort to minimize greenhouse gas emissions produced by resource extractions permittees. SJCA’s TAKE: Unfortunately, the BLM fails to even take the first step of recognizing all the possible greenhouse gas emission sources relevant to oil and gas production. If and when they take this necessary step they can then follow-up by regulating these emissions, which include methane, one of the most powerful climate disruptive gases. 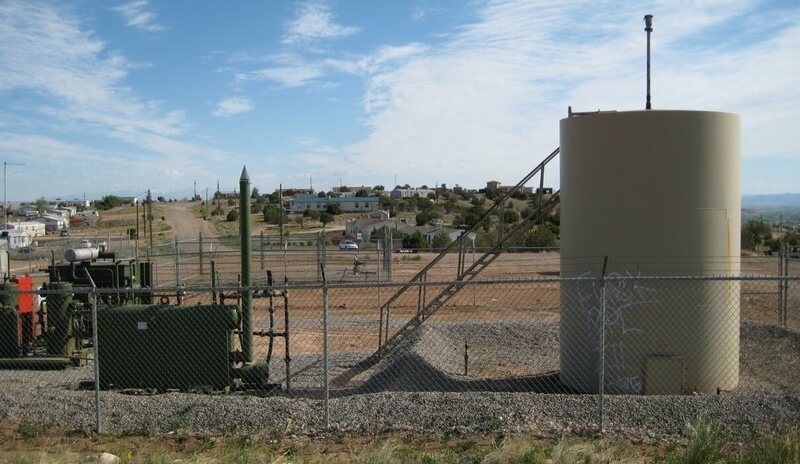 And we wonder why this is the methane hot spot of the country…. 10. Acknowledge the risks related to watershed health and water quality caused by fossil fuel extraction and minimize such degradation and diminishment of water supplies through requiring all possible conservation and protection measures. SJCA’s TAKE: The watersheds that gather and deliver our agricultural and domestic water are primarily managed by the BLM and US Forest Service. They are managing our water supply and therefore it’s entirely reasonable for us to insist they employ every possible measure to maintain healthy watersheds. 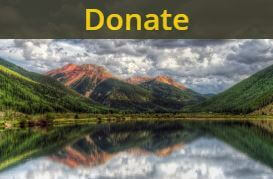 Allowances for drilling in sensitive watersheds or allowing anything over than the highest standards for oil and gas operations are simply unacceptable. We keep wanting more from the BLM, for the organization to live up to the promise that it is turning a new page in its long and storied history. And then they do things like this: produce a crappy Resource Management Plan and pretend it’s some type of perfect compromise between multiple interests. Climate change is not an interest. Air pollution and lung disease and the contamination of our ground and surface waters – these are not interests. 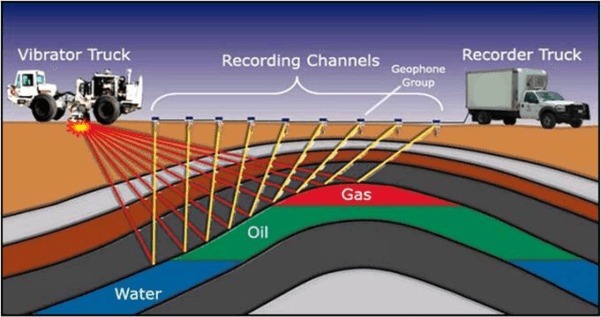 They are communal resources upon which all life depends, and should not be balanced 1:1 with the very narrow interest of some company to pump more oil and gas out of the ground. At this point the Alliance is evaluating our options. To be clear: this is the final product. There is no public comment period left, no more opportunity to protest the bad decision. It’s either litigate or live with this flawed document for decades to come. That last option might be too difficult a pill to swallow. This is heartbreaking and makes me angry! 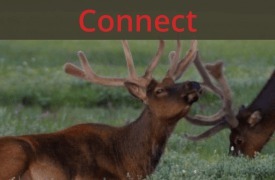 I hope that SJCA and citizens of Montezuma, Archuleta, and Dolores County can help the BLM find some better solutions. I’m not surprised, just sad. Looks crystal clear that these Federal agencies are bought and paid for. Their budgets have been contracting for years, by congressional intent. All those jobs in “oversight” are hanging by threads. Cactus Ed would have some advice, which I’ll leave un-written for the sake of discretion. The BLM has shown a consistent disregard and disinterest in good land management. They have a long and ugly history of being the poorest choice as shepherds and administrators for use of our land. And these are our acres they are destroying. unfortunately we seem to have no power to fire them and find better public servants. They continue to give away public resources to energy companies at steep discounts. Not only do we have to watch our lands wither under energy mismanagement, we get to do it for no return. The entire bidding process and accountability for how land is abused is veiled in secrecy and skewed to keep corporate profits sustainable even as the land that supports them becomes an unsustainable wasteland.